Electric boat technology strives to keep up with the auto industry. 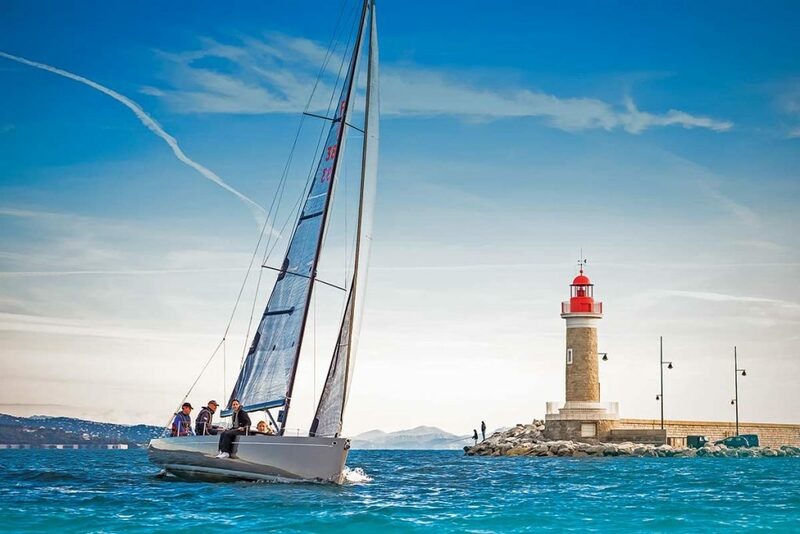 Torqeedo, in collaboration with BMW, is making the very latest automotive battery engineering available for boats. Adapted to work with Torqeedo’s 40- or 80-hp Deep Blue systems, the BMWi3 technology is based on prismatic cell design allowing for efficient cooling and even temperature distribution within the battery, all in a compact form and tucked neatly into an extremely rugged structure with external power and data connectors. Prismatic cells require precision assembly in a robust frame to achieve a long service life. Early adopters of electric technology have discovered that charging and discharging over time leads to cell expansion and collapsing, hastening the aging process. Boat applications place high demands on shock resistance and the BMW/Torqeedo design addresses those concerns. The battery is waterproof to IP67 standards and has laser-welded cell connections over a larger surface, suggesting a stronger and more powerful design than conventional spot-welded cell connections. Should a particular cell fail, interchangeable access points and modules allow for upgrades. BMW’s battery management system detects a replacement module and adjusts for that cell accordingly, while still providing appropriate recharging levels for older modules. 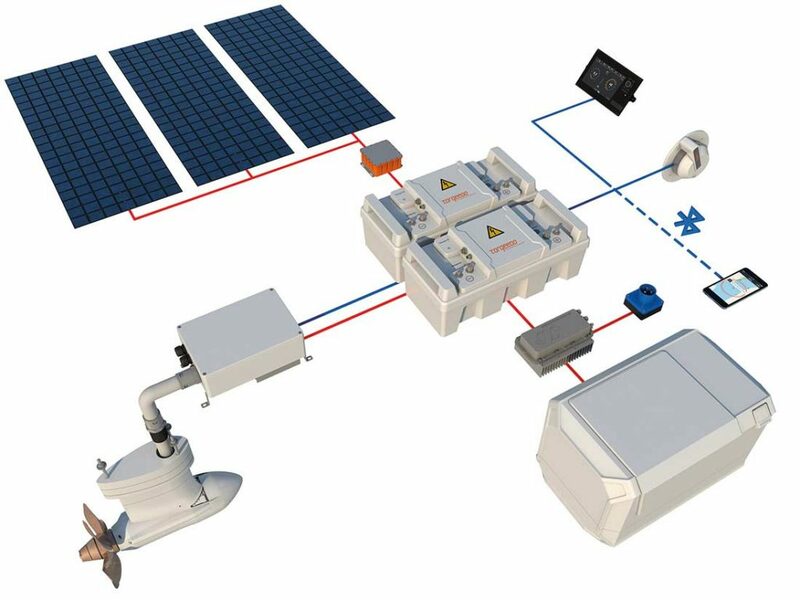 Torqeedo debuted a 25kW Range Extender for the Deep Blue system that is the first inverter generator capable of supplying electricity for yachts and supporting serial hybrid systems. With a promise of reduced pollutants, less vibration and a longer life for the combustion engine, the system does not require a separate starter. Instead, it uses the electric motor included in the genset.